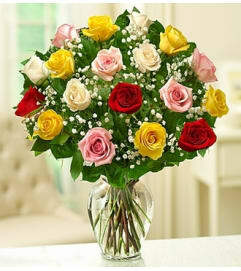 All around us, nature is displaying its magnificent colors… and our vibrant fall arrangement is no exception! 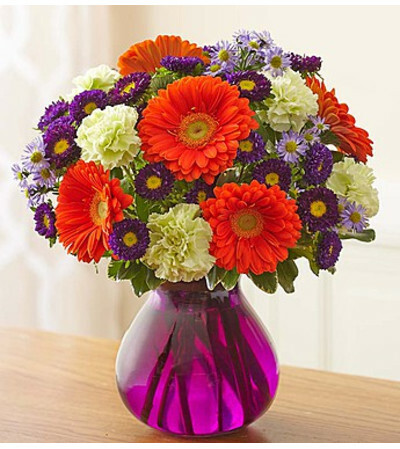 Lively lime green carnations, orange Gerbera daisies and purple asters are artistically gathered in a striking purple glass vase. 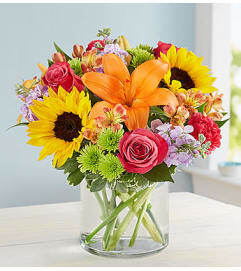 It’s the perfect gift to show your true colors by reminding all the important people in your life how much you care!